Rob and I got computers for our bikes, the Bontrager Node 2. Now we can get our mileage, speed, cadence, HR, altitude, and time easily while riding or on the trainer. We also got the antenna that actually fits into the frame to reads a signal from a sensors attached on a spoke of the back wheel and the pedal. 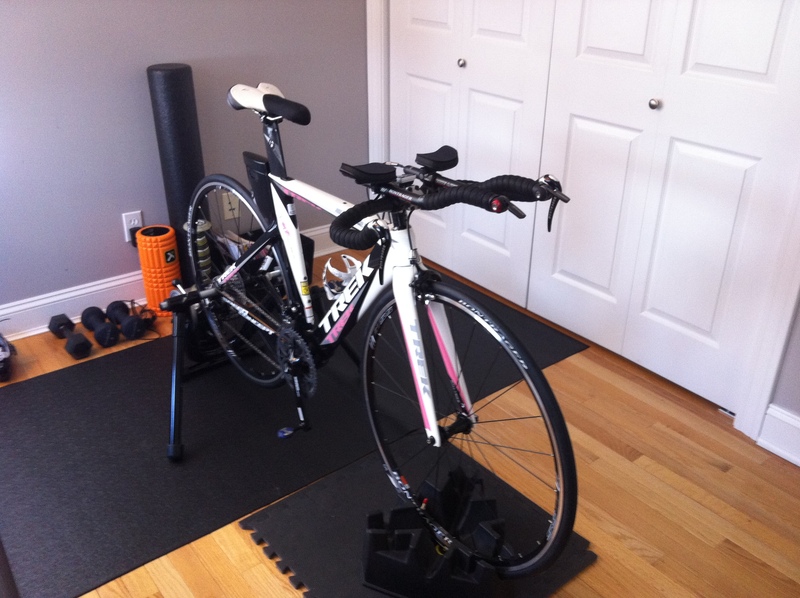 We also got new trainers, the Trek CycleOps Fluid Squared. We want two of them so we can do training rides together using DVDs. Rob’s had to be ordered so we got mine set up. When we have them both we will set them up side by side. I couldn’t wait to try it out so I did 7 Miles easy and found out quickly that I’m going to need got get used to the seat and invest in some cycling shorts with padding. I love how quiet and smooth the trainer feels, not that I have any reference other than the store fitting. I’m already loving the variety this will bring, although the logistics (gear, set up, maintenance) is still a bit overwhelming. The feeling of riding on the trainer is very different from spin class. Already I can see how this becomes a whole other type of workout. That’s not a standard Monday for me at all. I had a scheduled race Sunday (until I found out we weren’t registered, whoops) so I had moved my long run. A long run on tired legs (post race or post long work day) can be good physical and mental training. Regardless of pace I knew it would be a good workout. Get some Pearl Izumi padded shorts, they are wonderful! 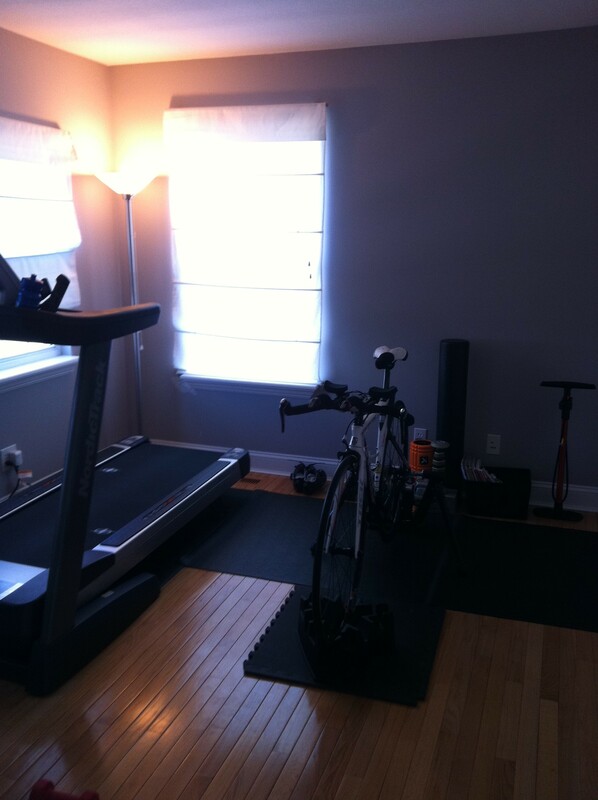 I have my Giant Avail set-up in a trainer during the winter months, it is super nice to have the option when you want to cross train and don’t want to leave the house!